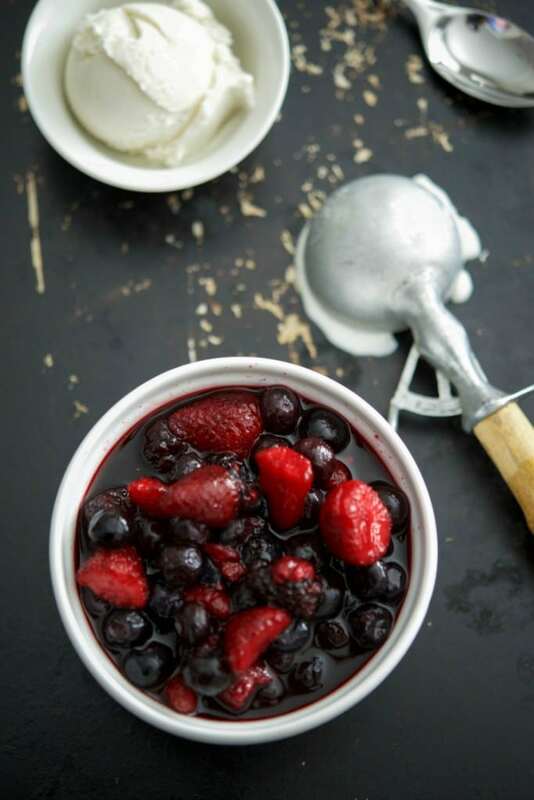 These Amaretto Macerated Berries made with a mixture of your favorite berries and Amaretto make the perfect grown up dessert. 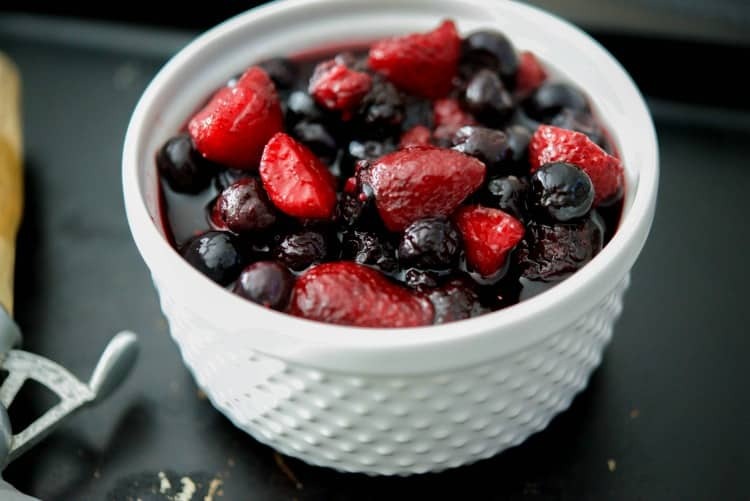 With Passover and Easter on the horizon, this would make a tasty addition to your desert menu; especially since these Amaretto Macerated Berries take about 5 minutes to make + resting time and are absolutely delicious. 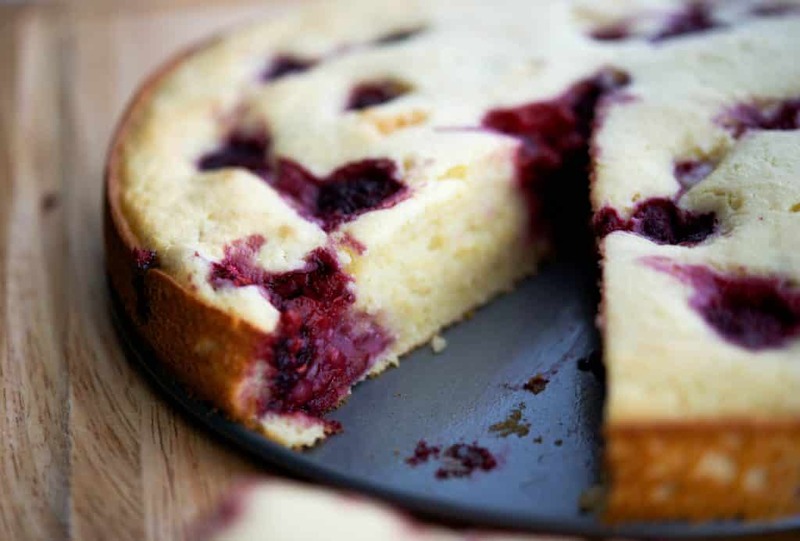 Top your favorite ice cream or poundcake for a quick and easy grown up dessert. I first saw a recipe for macerated fruit in a magazine a while back, but I didn’t care for the taste of the alcohol they used and thought Amaretto, or an almond liquor, would taste much better and boy was I right. ‘Macerating’ in cooking refers to the steeping of a food, usually fruit, in a liquor with sugar; which softens the fruit and infuses the liquor into the fruit. It’s usually made with fresh fruit and generally is only good for about 4 hours before the fruit turns to mush. I had a bag of frozen mixed berries so I decided to try macerating the frozen berries instead. 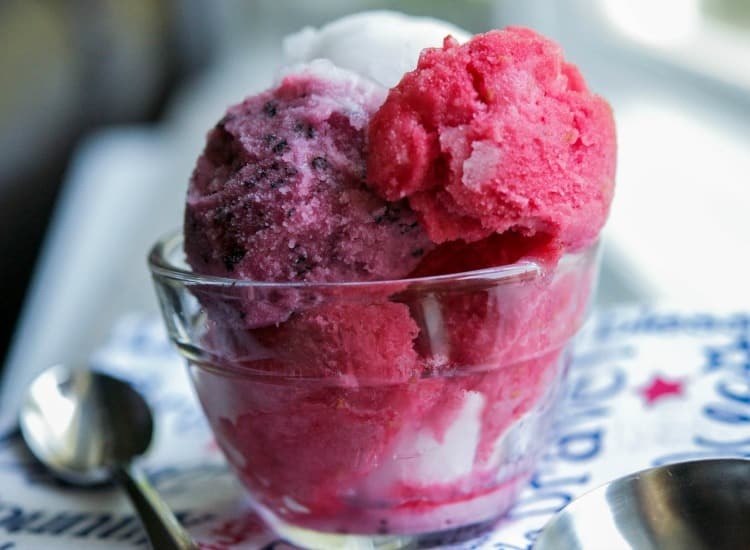 I combined Amaretto, sugar, and lemon juice with the frozen berries; then placed them in an airtight container in the refrigerator. After 2 hours, the fruit was still frozen; at 4 hours, they had defrosted, but didn’t fully have that infused flavor of almond. I decided to keep them refrigerated overnight and perfection! 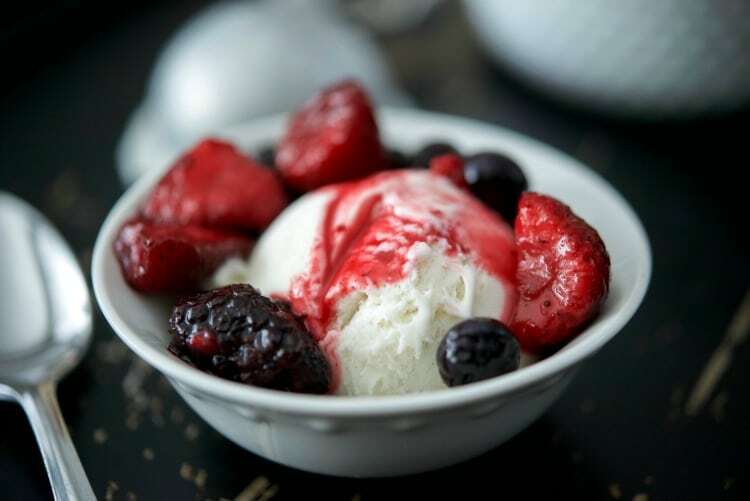 By using the frozen berries instead of fresh fruit, it allowed us to enjoy these berries for about 2 days before they became too soft to eat, but if you prefer using fresh berries, use the macerated berries within 4 hours of steeping. 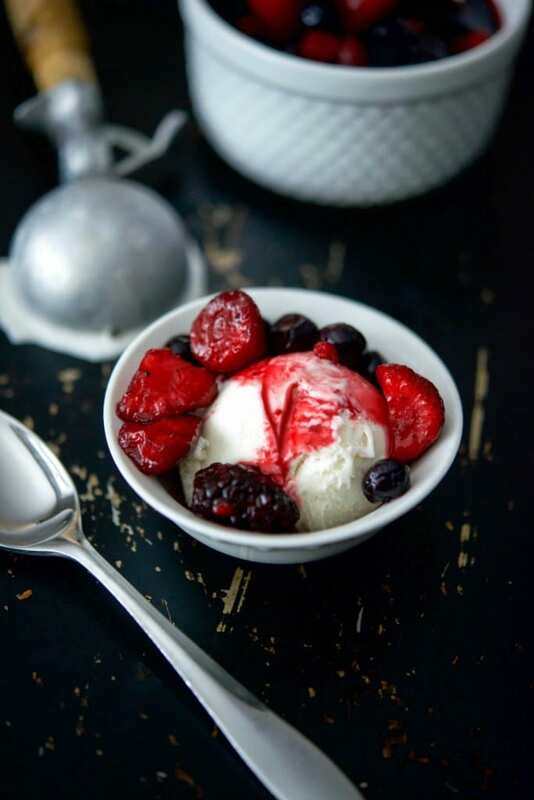 We ate our Amaretto Macerated Berries over Vanilla Bean Ice Cream, but I bet they would also taste amazing over pound cake. 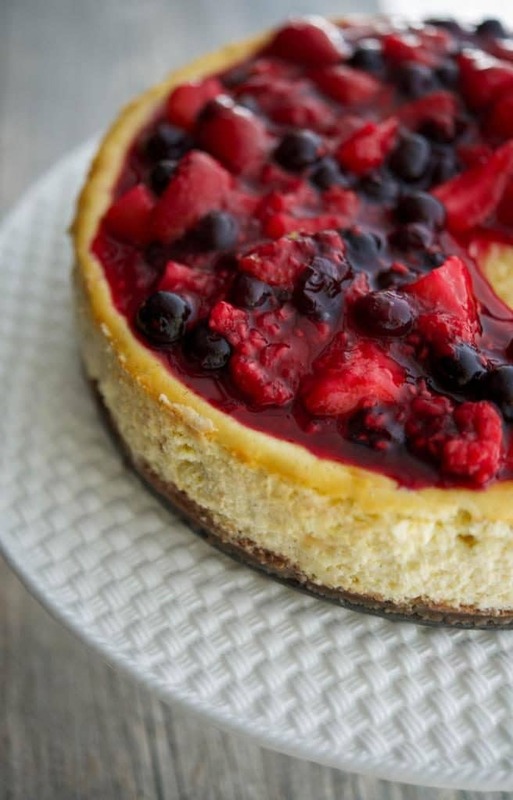 Besides the refrigeration step, it only took 5 minutes to make so this would make a wonderful make-ahead dessert option for your next dinner party or family gathering. ~Enjoy! Combine all of the ingredients in a bowl; then store in a sealed container in the refrigerator overnight. Serve on top of ice cream or pound cake. Will last 2 days refrigerated. 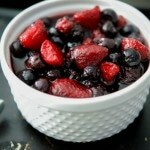 *If using fresh berries, prepare and use up to 4 hours before serving.